Hazmat, UPS ground or truck shipping only. APPLICATIONS: Use on balcony decks, parking ramps, mechanical rooms, stadiums, plaza decks, and anywhere a high performance durable and chemical resistance coating is needed. Substrates: Concrete or exterior grade plywood. 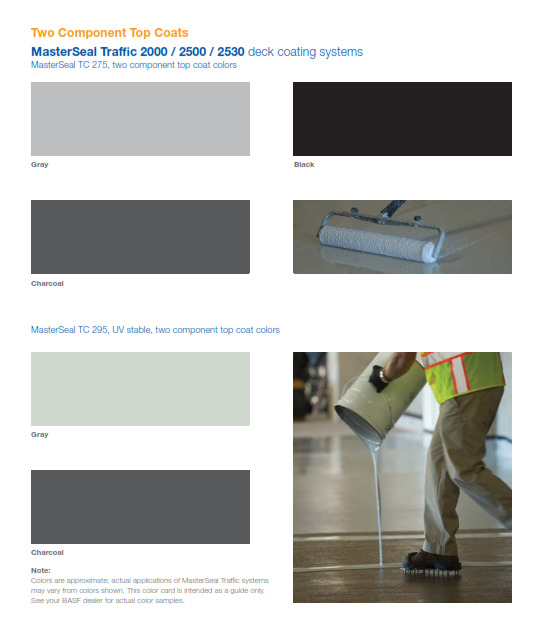 Topcoat Color Options: Charcoal, Gray (see data sheet for colors). Description / Key Features: A TWO component fast curing aliphatic 100% solids urethane waterproofing TOPCOATING. Very durible and chemically resistant. Use over either Conipur 265-Z or Sonoguard basecoat systems. Can be use for exterior or indoor applications. Cures in 4-8 hours at 70F. Very low odor & Low VOC. Suitable for occupied applications and quick return to service jobs. Excellent chemical resistance. Good stain resistance. Protects against common parking deck chemicals including gasoline, diesel fuel, oil, alcohol, ethylene glycol, de-icing salts, bleach and cleaning agents. Very high solids (99% by weight). Used with the MasterSeal (Conipur) 78 Primer and Conipur 265 or Sonoguard basecoats. 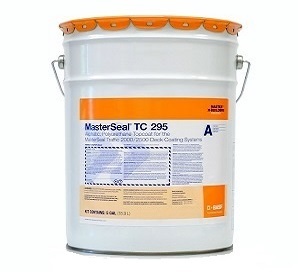 MasterSeal M 265 Traffic-Grade Waterproofing Basecoat (formerly Conipur 265Z) 2-Part Fast-Curing High Solids Polyurethane Base Coat. 4.66 Net Gallon Kit. Price/Kit.